If there are hazards in your workplace, the Health & Safety (Safety Signs & Signals) Regulations 1996 state that signs must be displayed to indicate this. Harmful substances signs are a great way to make your premises safer for employees and visitors. 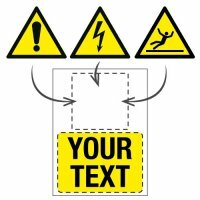 These signs are easily recognisable as they all feature the hazard warning triangle containing the relevant hazard symbol; be it radiation, toxic substance, or the general hazard warning exclamation mark. Whatever sign you choose, you need to ensure that it is securely fixed, which is why we have available an extensive range of sign fixings suitable for both indoor and outdoor applications. Many industrial and medical workplaces will have substances on the premises that could cause harm to employees and visitors; however, when correctly managed, the risk from harmful substances is minimal. Make sure that everyone on your premises is alerted to the presence of harmful substances by clearly displaying harmful substances signs to allow them to either avoid the hazard or take the necessary steps to protect themselves from it. There are a number of harmful substances used in different industries and workplaces, but at Seton, we have a comprehensive range of harmful substances signs to warn of the hazards. The signs are available in different materials, including vinyl, plastic and rubber. Some of the harmful substances signs even have a magnetic option, which makes them ideal for fixing to cabinets where the contents might change regularly. See our guide to signs materials for more information on each. Many of the harmful substances signs feature the easily recognised hazard triangle with a pictogram to provide specific information on the nature of the harmful substance. For example, the radiation symbol to warn of the presence of radiation. 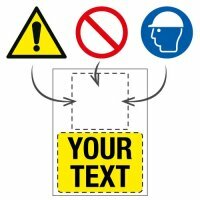 Our range of harmful substances signs also features a number of COSHH (Control of Substances Hazardous to Health) signs. Conforming to CLP (Classification, Labelling and Packaging) regulations, these are diamond-shaped in an eye-catching design. Inside the diamond is an easily recognisable pictogram conveying the nature of the harmful substance, such as the contents being flammable. If the harmful substances signs in our range do not exactly meet your requirements then we can help you create your own to suit your needs. With our online Creator tool you can create your own hazard warning sign in five simple steps. For those employees whose duties include working with harmful substances, harmful substances signs will serve as a reminder to protect themselves. We stock a large selection of personal protection equipment to protect the skin, eyes and respiratory systems of your employees. In addition to protecting your workforce, some hazardous and flammable products should be correctly stored in containers specially designed for chemical handling and storage. However, accidents can happen even in the most efficiently run companies, so make sure that you have sufficient COSHH and spill control kits to thoroughly control any spills of harmful substances. Many companies worry about failing to comply with the regulations surrounding the control of harmful substances, but by shopping for harmful substances signs and other safety products at Seton you can feel confident that your on-site safety standards will fully comply. As one of the UK’s leading retailers of workplace safety products, we ensure that everything that we sell fully complies with all current UK and EU regulations and guidelines.